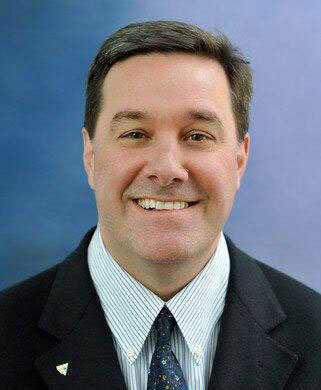 Bartlett Tree Experts is pleased to announce that James Ingram, currently Vice President and Division Manager of the company’s field operations in New England and eastern Canada, has been named president and will begin this role on January 1, 2013. The news comes shortly after the announcement that Greg Daniels will be retiring as president of the company at the end of this year. “Based on my personal experiences working with Jim and the success he’s had as a leader in our company, I can confidently say I feel great about this decision. He has strong ideas for the continued growth of the company that fit with my vision of where we are now and where we’re headed,” said Robert Bartlett Jr., Chairman and CEO of Bartlett Tree Experts. Mr. Ingram joined Bartlett Tree Experts as an Arborist Representative in 1983 and was promoted to Local Manager in 1984. In his nearly thirty years with the company, he has time and again demonstrated his commitment and ability to achieve success. Mr. Ingram has held his current role since 1993 and in that time established the New England territory as the company’s highest sales region. He is responsible for financial oversight of 17 Bartlett locations and has been actively involved in recruiting, managing and training a staff of over 40 arborists. The international experience he has will also be valuable as Mr. Ingram moves into a role where he will oversee operations in 26 U.S. states, Canada, Great Britain and Ireland. Beyond his work at Bartlett Tree Experts, he also volunteers extensively with arboricultural organisations and in his local community. He is a past chair of the Council of Tree and Landscape Appraisers as well as the International Society of Arboriculture Certification Board. He has also served as president of the Cape Cod Landscape Association, Cape Cod Horticultural Society and the New England Chapter of the International Society of Arboriculture. Mr. Ingram enjoys assisting arborists in developing their careers and has given over 600 lectures on topics including safety, tree and landscape valuation, hazard tree assessment, integrated pest management and more. He is a Registered Consulting Arborist and Board Certified Master Arborist and continues to advance his own professional development by active involvement in the industry. The F.A. Bartlett Tree Expert Company was founded in 1907 by Francis A. Bartlett and is the world’s leading scientific tree and shrub care company. The organisation’s current chairman, Robert A. Bartlett Jr., represents the third generation of Bartlett family management. Bartlett has locations in 26 U.S. states, Canada, Ireland and Great Britain. Services include pruning, pest and disease management, fertilisation and soil management, cabling and bracing, tree lightning protection systems and tree/stump removal. Its corporate offices are located in Stamford, Connecticut.